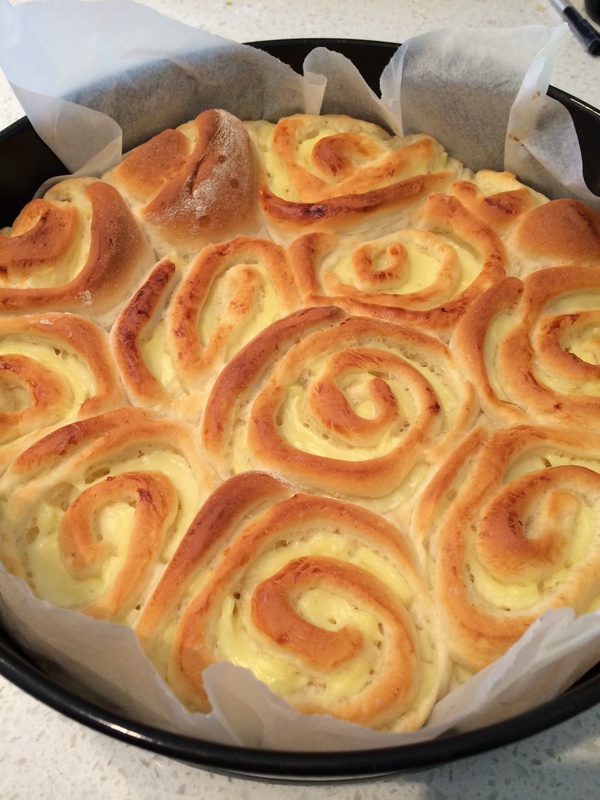 http://thermomumma.com/sweet-bun-dough/ ohhhh yessss… After yesterday’s clean eating gluten free rolls, it’s Friday and we decided to mix it up and make these gluten full beauties. Again using thermomumma’s fantastic sweet bun dough. Thick Custard made using the automatic feature in tm5 for 4-5 people perfect quantity for two and bit cake tins of scrolls. Roll the dough into the largest rectangle. Spread with custard. Prove for approx hour and bake 180 C for 15/20 mins.